DizBoy's Blog: I Need Urgent Medical Attention Yakubu Andrew cries out. I Need Urgent Medical Attention Yakubu Andrew cries out. 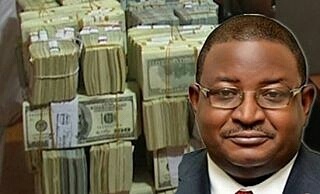 the Economic and Financial Crimes Commission (EFCC), saying while no formal charges have been brought against him, he is being denied an urgently-needed medical attention. Raji said, “in view of the foregoing facts, our client has sought an enforcement of his fundamental human rights before the Federal High Court, Abuja in an action constituted as FHC/ABJ/CS/126/17 between Engineer Andrew Yakubu vs EFCC & Anor. “Our Client has been detained by the Economic and Financial Crimes Commission (EFCC) for more than a month since he voluntarily presented himself to them at their invitation and has fully cooperated with investigations”, he said.